Now that Offset has been released from jail after getting arrested on gun and drug charges, cops are pulling his and his lawyer's card about being targeted for being black & successful. 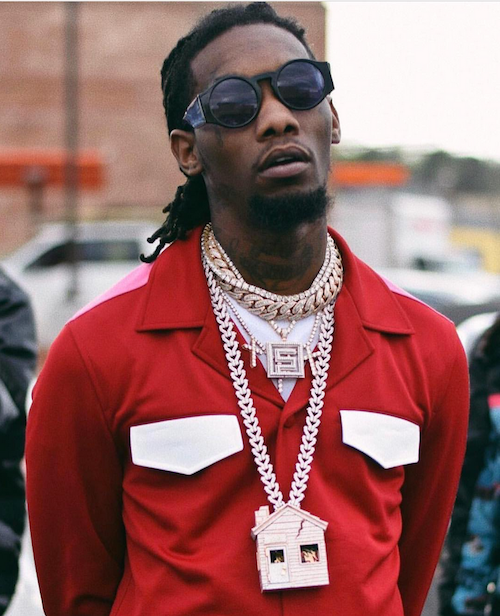 Offset basically said his arrest this weekend was due to the "hip hop police" targeting his black excellence. He was pulled over in Georgia for improper lane change, and cops found three guns and a stash of weed inside his car. He's a convicted felon, so it's all a No No whether he's on probation or not (his wife Cardi B. chimed in on Instagam saying he's NOT on probation, despite reports saying he is). Findling, who also reps Gucci Mane, Katt Williams and Trippie Redd, tells us, "It's a common theme. We're talking about a young, African-American man driving a shiny, beautiful luxury car and clad in designer clothes and watches and jewelry." Findling says his client was NOT in possession of any firearm. The attorney says the passenger in Offset's car -- his assistant -- was a licensed gun holder who had firearms in the car for security. Findling notes Offset needs protection because of the large amounts of cash he typically carries and the expensive jewelry he wears. Mmhmm. Now, the police report has come out, and it claims he was weaving in and out of traffic, even crossing solid yellow lines. According to the cops he was pulled over for "failure to maintain lane" because he crossed over the solid yellow line. As for the guns ... cops say there were a total of 3 weapons found. One of them was on his male passenger, a bodyguard ... the other 2 were inside the car. Welp. He's back home with Cardi and their 2 week old baby girl Kulture after posted $17,000 bail Saturday.